When it comes to cleaning I consider myself an expert. 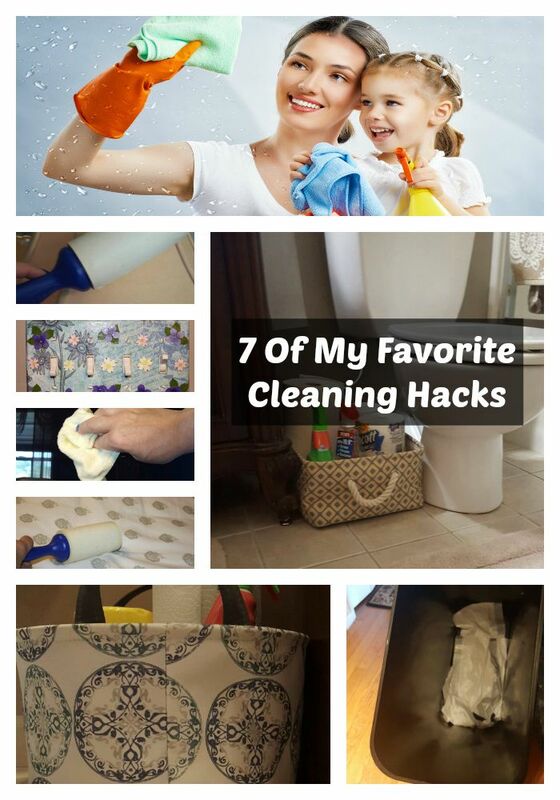 I’m always in search of the perfect cleaning hack to make my cleaning experience an easier one. 1. Lampshades – we all have them. They are dirt magnets. I’ve tried so many ways to keep them clean and finally found an easy way to do that. A lint roller! Once a week, grab that sucker and give your shades both inside and out a clean sweep. Works like a charm! 2. 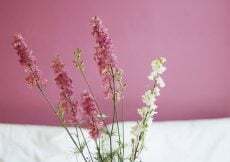 Sheets – keeping them clean in between changes can be a real pain – use the same lint roller and do a clean sweep of your sheets before making your bed. It keeps your sheets just as fresh as when you changed them! 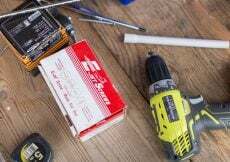 This hack is so awesome, I have a post on it! 3. Cleaning Products – isn’t it annoying to have to run for your cleaning products each time you need to do a cleanup? Well, fret no more! 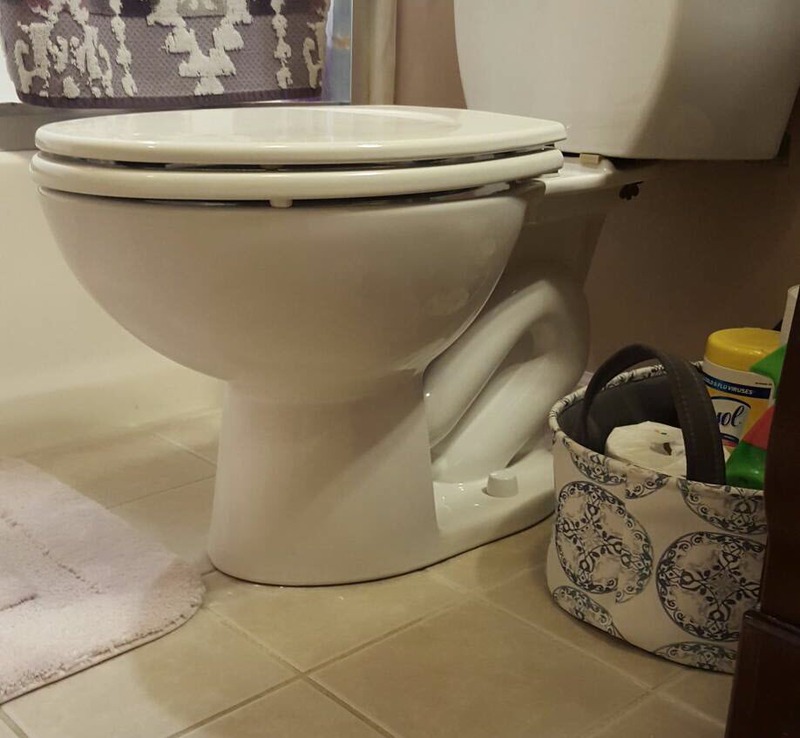 I’ve found an attractive and easy way to keep cleaning products close by in each bathroom for easy access. I have three bathrooms and one basket in each. 4. 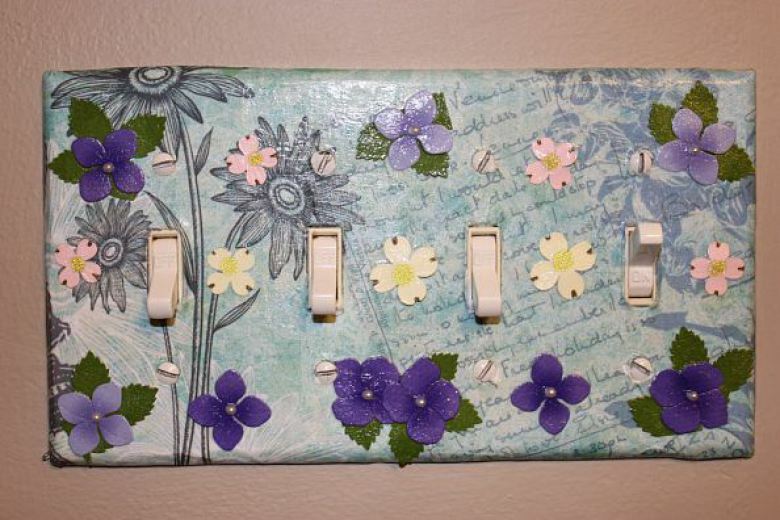 Light Switch Plates – Every home has them. 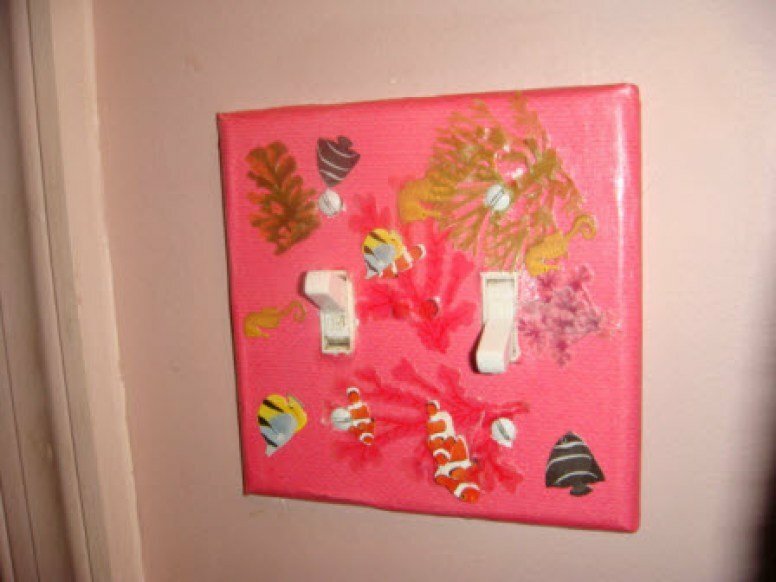 I bet if I asked you right now, you wouldn’t be able to tell me how many switch plates your house has? Yet, they are in every room and we have to clean them. Well, I’ve found both a decorative and easy way to keep them clean. Decoupage! Yep. Take a look at this post I made on how to easily decorate your switch plates and at the same time how not worry about dirt and grime showing up so easily on them anymore. 5. Computer Monitors – Most folks think you can use Windex or even a spray designed to clean monitors. Monitor cleaners are very expensive and like Windex, they can leave terrible streaks behind and ruin your monitor over time. All you need is a wet soft rag. 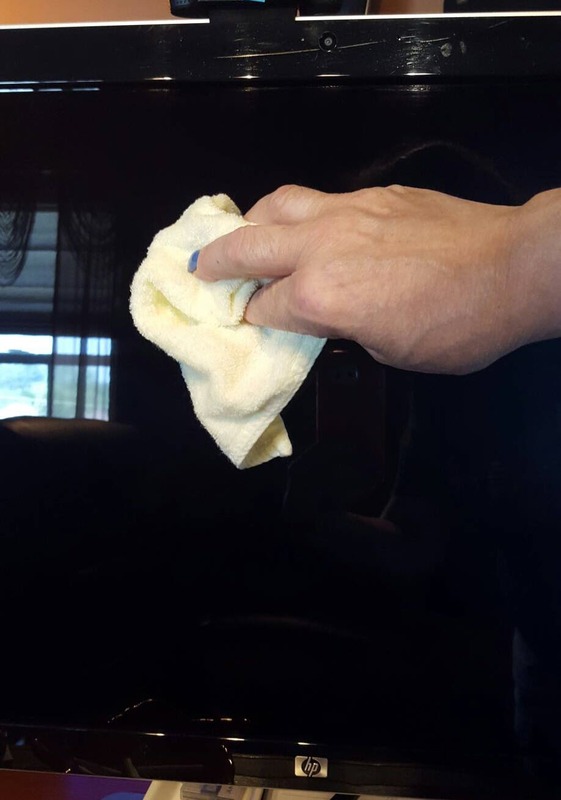 Yep, just dampen a soft washcloth and clean your monitor that way – be sure to wipe it dry with a soft washcloth as well. Trust me, it’s the best way to keep your monitor clean and safe from the damage harsh chemicals can cause. 6. Garbage Pails – This is not so much a cleaning hack as much as it is a convenient hack. 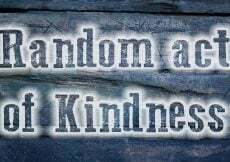 I could never understand why everyone is not doing this! 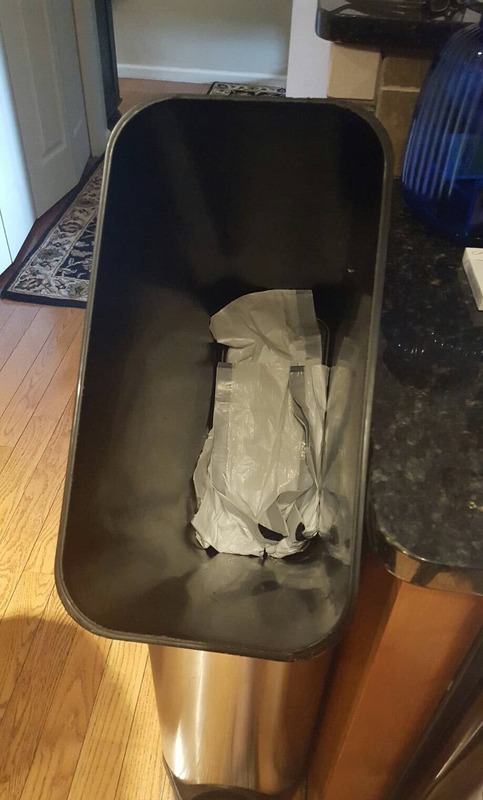 Instead of placing garbage bags into your pail one at a time, throw 10 of them on the bottom instead – this way, when you change the bag you don’t have to always go run and grab them individually. 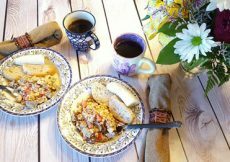 I’ve even thrown in an entire roll and wow – easy peasy changing plastic garbage bags! 7. Makeup – cleaning your makeup and brushes can be a real PIA! It’s so important in preventing bacteria on both. Let’s face it, you use these items on your face so you should be extra careful on how to clean them. Be sure to check out this detailed post explaining how to and what products to use for maintaining and cleaning your makeup tools and storing them as well! 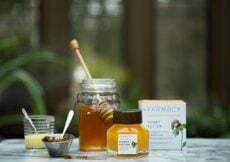 The section on what products I use starts at 7:30 on the video below. Be sure to watch the entire video for some of my beauty favorites too! I hope you got to learn a thing or two today. I’m always discovering new cleaning hacks so be sure to check back for updates! Also, be sure to leave any questions you might have in the comments section below. I always reply! 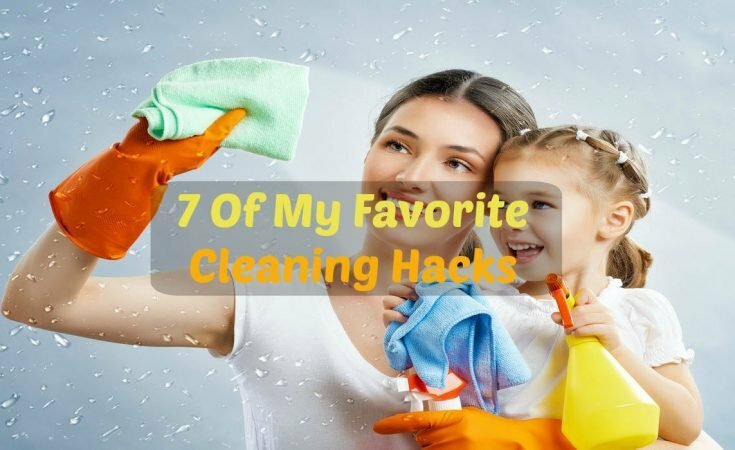 And as always, thanks so much for visiting my site and if you like this post – 7 Of My Favorite Cleaning Hacks – please subscribe via email below and never miss a post again! YaY! Happy to meet someone who also puts the garbage bags at the bottom of baskets for easy changing. Love the cleaning basket idea and I have to go read about the decopauge switch plates. I love your link roller for the sheets post and great idea to use them on lamps too. Thanks much Sue. Wow you do that too!!! It’s funny so many folks don’t think to do that. The lint roller thing is life saver that’s for sure. I love cleaning hacks that actually work! Thanks Diane! Oh my gosh yes I’ve had to deal with that before too from using the wrong monitor cleaner. Did you try vinegar to remove the streaks? you can dilute it with water and see if that helps with the streaks. Always good seeing you! Awesome tips!! I especially love the one about keeping extra trash bags in the bottom of the can. A store I use to work at use to do this, I never really thought to do it at home LOL Going to put them in there right now. Love the lint roller on the sheets too. Thanks so much for them all! Oh wow great! So glad you liked the tips. the garbage bag one is super easy and so is the lint roller! Two of my favs! I’m glad I found your blog through the North East Bloggers…this is super helpful! I will be incorporating the stowing the cleaning supplies around where I actually use them. It’s a great idea. Great tips! We do keep a roll of garbage bags on the bottom of our pails. Love the idea about the lint roller that we always need because of our 3 cats. I do forget to clean my makeup brushes (I won’t admit how old they are…)so thanks for that reminder. And I love going to craft fairs that offer lovely switch plates to replace the boring ones (that we have..) that are simply white. Hi Cathy, As a cat owner the lint roller is a life saver. I wish we had more craft fairs up where I live. They are always so much fun to go to. Have a great day! Lint rollers are my favorite. I keep one near the bed to do the sheet cleaning trick when my cats decide to shed on, walk over and and crawl under my “just put on the bed yesterday” sheets…. and we all know where those feet have been! Hi Nancy. Oh the lint roller tip is great if you have pets. Thanks much for stopping by and hope to see you again soon! I’m loving these cleaning hacks! The lint roller trick is one I’ve never heard of, I’ll be doing that one tonight. Thanks. Hi Mary, oh yes that one is awesome. You’re going to love it! I have to admit, I don’t clean my own house, but I do touch up and some of these are classic while others new to me. YES! I can use them. I love these hacks! I’ve never come across these. Can’t wait to try the lint roller on my sheets. So glad you like them Helene! 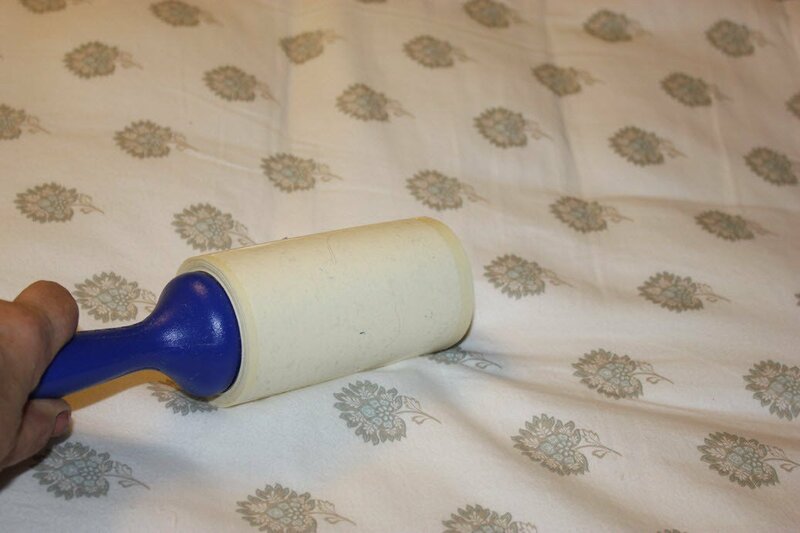 That lint roller hack is amazing I know you’ll love it! Thanks for the great tips. 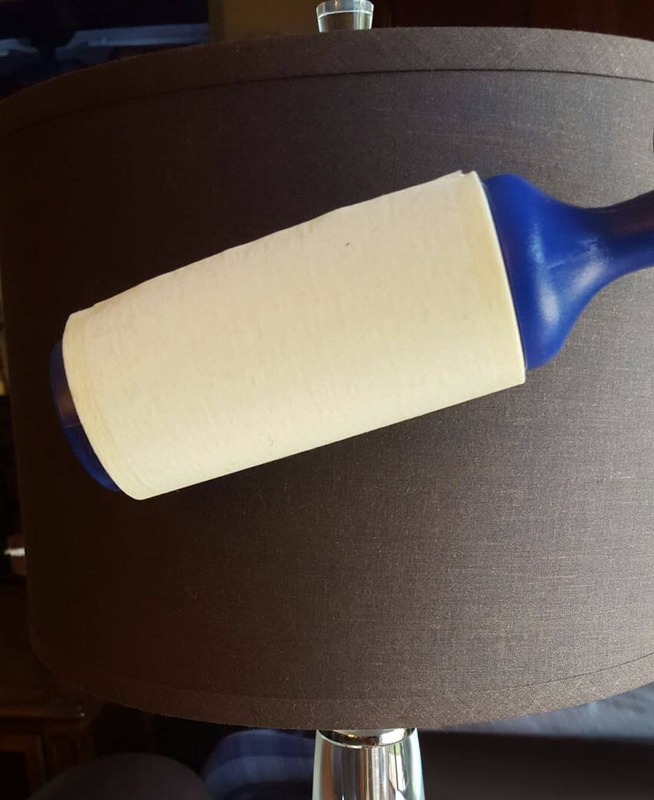 Love the idea of using a roller on the lampshades and on the bed. Hi Estelle, Oh, that lint roller works like a charm at keeping sheets nice and fresh! Thanks much and have a great weekend! Whoa. 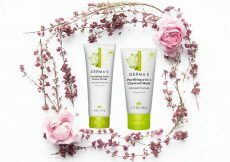 Great information….with my husband ill and susceptible to germs I will put these to good use! Hi Tam, oh yes any ideas are good for preventing nasty germs for sure. 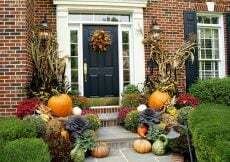 Thanks much for stopping by and have a great weekend! LOL Roz, that sounds like a great idea. I’m puzzled though…why would he give you a lint roller as a gift? lol men…I’ll never understand them. Have a great weekend! 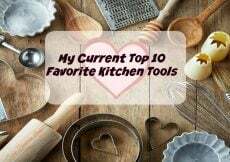 I just love learning about kitchen gadgets and tools. 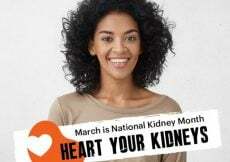 Thanks for sharing this great post! Thanks much for stopping by. I do too! Super cool tips! 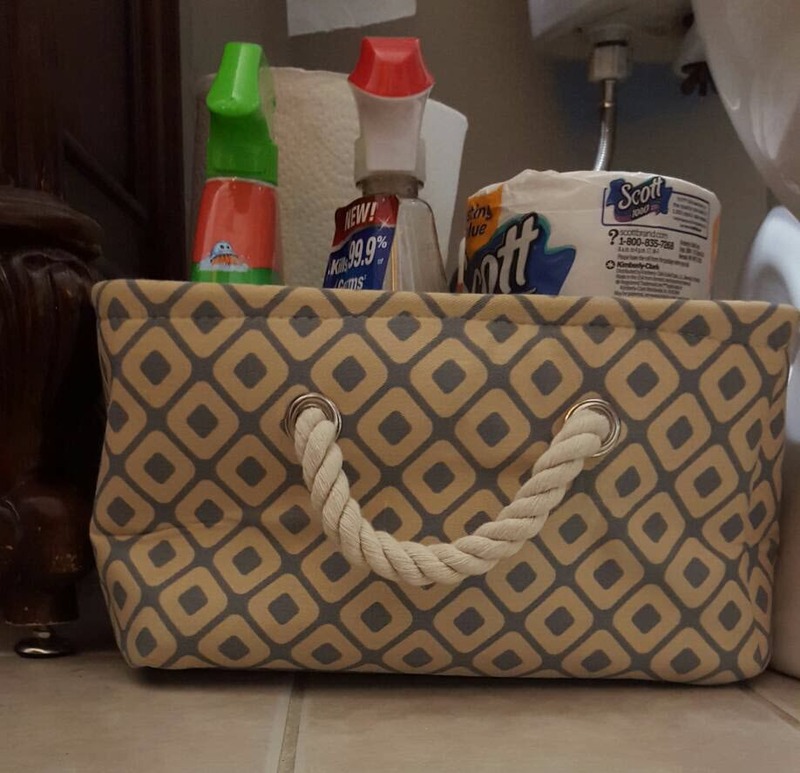 I love the light Switch Plates, and basket for the cleaning products! Thanks much Patti. You are a cleaning nut like me so I knew you would love these!